Here are the seven most popular posts of 2014. Did you miss one or more of them? Here’s your chance to catch up. And if you’ve read each one, you may still enjoy taking another look. 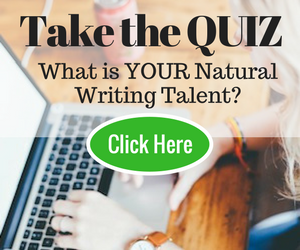 Take this fun quiz where misplaced or missing punctuation marks, dangling modifiers, and other grammatical speed bumps give you thrills when you get them right, or teach you a valuable lesson. Take the grammar quiz now. Another post that readers enjoyed was about three crucial writing habits. You know it’s not easy to be a good writer. One thing you can be sure of: you can definitely be a better writer. Click here to learn about the 3 habits you need to cultivate. Once you’ve acquired the three habits, it’s time to learn how to captivate your audience. This next post got a lot of attention because it demonstrates how to use emotions to glue readers to the page. If you use emotions skillfully, you can make sure your readers read every word, right to the end. In this post, the story of the horse getting sucked into quicksand gripped our readers. Click here to find out the three secrets of transmitting naked emotions (and whether the horse survived). Writing is not just about putting words on a page; it’s also about polishing what we create. Do find it difficult to spot mistakes in your own stuff but easy to see the bloopers in someone else’s writing? But luckily there are proven processes which can help writers develop self-editing skills. Click here to find out how to bring out the best in your piece. Once you’ve polished your piece, it’s time to make sure it gets the attention it deserves. You need to get your work out there. But in a noisy world, it can be difficult to get the attention you deserve. This article was so popular because it points out an easy but unusual way to get more social media shares. Click here to get the the insider info. Have you ever counted how many writing projects you’ve started but never completed? This next post will make all the difference. Do you know why you struggle to complete writing projects? More importantly, do you know how to finish what you start? Click here to learn how to complete every writing project with ease. Do your readers know you? The way to get known–even if you’re still at start of your journey as a writer–is to create an author platform. Almost every author out there–established or struggling–has a writer platform. You know you need one too. Because obscurity is a disease, and your platform is the cure. Click here to find out how to build your platform. That brings our round-up of popular posts to a close. Thank you for reading, caring, and sharing your comments and our posts. You’ve made this our journey, and I’m excited and passionate about helping you reach your goals. What, huh? I wrote one of the most popular posts of the year for WTD? Well, a quiz, but still. Over 3500 shares! That’s so awesome! Thanks for including it. The pics you chose are hilarious. Late to the party here but catching up, and I’m so glad so many people want to test their skills. Have to check out the others, too! Great article – really enjoyed this one as it showed my favorite posts which just happen to be the mot popular ones too! Thanks so much for including one of my articles – I’m thrilled that it resonated with your readers, and I’m grateful to have had the opportunity to connect with them. Saved for later perusing 🙂 I admit I missed a few. Thanks, Mary, for listing these! I’m so honored my post on self-editing is among the top 7. Good to know writers want to improve their writing! I’m sharing this with all my fans and followers. Keep up the great work and wishing you all at Write to Done a very happy New Year!